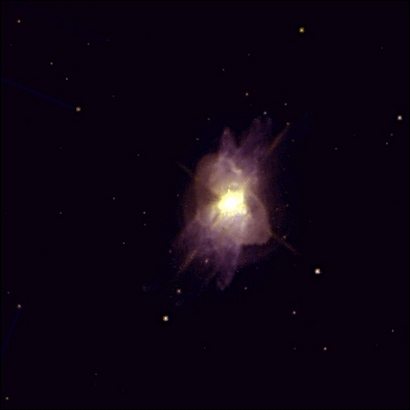 The Water Lily Nebula in the constellation of Ara is one of the proto-planetary nebulae where complex organic molecules with aliphatic and aromatic structures are found. N.B. The object in this image does not corresond to the spectra in the previous image. This picture was taken with the Hubble Space Telescope Wide Field Planetary Camera on June 28, 1999. Photo credit: Sun Kwok, Bruce Hrivnak, and Kate Su.